US Magistrate Judge Paul Grewal granted both Samsung and Apple new infringement claims to the second patent lawsuit both companies are now embroiled in. 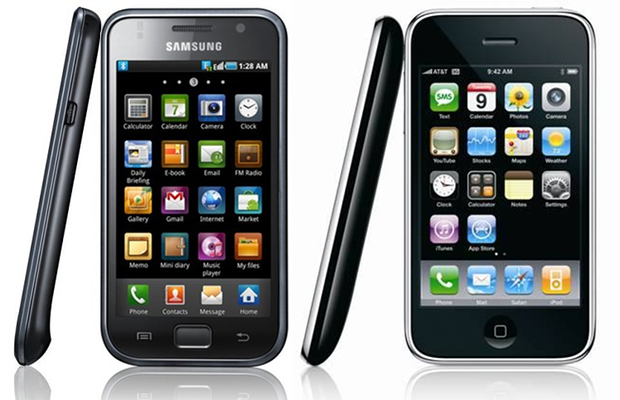 Samsung, for its part will add the iPhone 5 to its patent-infringement claims while Apple will add the Galaxy Note, US version of the Galaxy S III and Jelly Bean. The addition of Jelly Bean software is limited to the software running on Samsung’s Galaxy Nexus device. “Apple should think twice before opposing similar amendments reflecting other newly released products, e.g., the iPad 4 and the iPad mini, that Samsung may propose in the future,” Grewal said in the ruling. The second lawsuit for both companies is scheduled for trial in 2014 and will target the iPhone, iPad, iPod Touch devices as well as 19 Samsung devices according to court filings. Both companies are seeking the addition of new devices that came to market after the original suit was filed. The second lawsuit will follow the completed trial that ended earlier this year resulting in a $1.05 billion dollar fine against Samsung for patent-infringement. Judge Lucy Koh has scheduled December hearings for the original trial to consider both Apple’s request to ban 8 Samsung smartphones and the Galaxy Tab 10.1 as well Samsung’s motion to get the August verdict thrown out due to juror misconduct. While Samsung’s Mobile Chief JK Shin has said that he and his company have no intention of settling with Apple, with a good 13 months before any trial could take place, it’s still possible that both companies could settle their differences ala HTC. Until that happens, it seems that these two companies plan on duking it out once again. thats GALAXY NOTE not NOTE 2 right? Pretty sure its Note 1 its quite funny apple can’t seem to get the most current hot samsung phone in trial quick enough while all samsung has to do is call out apple’s iPhone 5 and that could potentially screw apple completely, No iPhone 5 a lot of bad looks in Apple’s direction. I hope Samsung wins some sort of injunction against iPhone 5 so that apple can quit this non sense. In the end its the consumer that suffers. Who cares really? If Samsung really cares about the consumer then could have taken the high road. It all about for both companies. I never really been a big samsung fan so it don’t matter to me. Could have taken the high road by what, not being sued, or just accepting the lawsuit? Both companies are to blame, here, let’s not forget. As some one who owns both iOS 6 and Jelly Bean devices, though, the thought of Apple going after that OS is ludicrous. To my eyes, they couldn’t be more different, but I’m just a schlub, I guess. Some galaxy devices were skinned to be very similar in look and function to iOS, but the newer devices are more defined as far as I can tell. The Galaxy Nexus, the phone they are talking about, is pure android, no Samsung software there. Samsung only provides the hardware forthat device so yes it’s ludicrous for Apple to go after them. The picture for this case from the beginning is so misleading, one is the app drawer a very small part of the android experience the other is the entire OS in its entirety. But it still looks like an iOS experience. Thats what samsung copied. Look at stock android 2.1 app launcher Vs this. This has side-to-side while stock had up and down. Why are blogs still showing the inflammatory, doctored photo of the Galaxy S next to the iPhone? Shame on you. It is literally photoshopped to look like it has the same dimensions as the iPhone and the app drawer I’d specifically in the opened position. Samsung, or Google, sue try and patent icons that are square with rounded edges but only for cell phones. Let’s see how stupid this can get. I don’t know about you but I for one am sick of the people claiming they own both iOS and Android devices- is that supposed to make you unbiased?